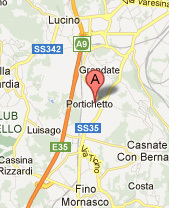 Pietro Catelli was born in Monte Olimpino, on the outskirts of Como, on 14 April 1920. Son of a worker of the Swiss Railways, he lost his mother at a very young age. At 17, he went to work as an accountant for Diefenbach, a German company specialised in the production of needles, syringes and thermometers based in his town. Shortly after becoming a salesman for the company, he decided to start his own business. In 1946 he established ARTSANA, Articoli Sanitari e Affini, in a small shop in Piazza Matteotti. In 1957 he married Licia. The couple went on to have three children. In 1958, Enrico, his first son, was born and Pietro Catelli dedicated his best business idea to him: he named his brand CHICCO, short for Enrico. His fervid imagination and keen intuition led him to create the Pic, Serenity, Control and Lycia brands during the 1960s and 1970s. 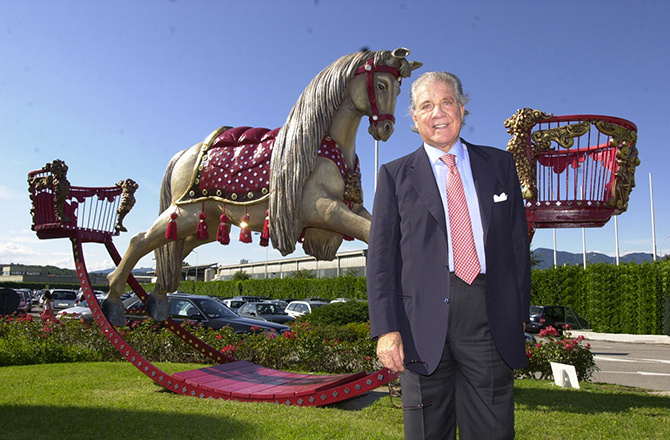 In 2000 he established and inaugurated the Toy Horse Museum. Pietro Catelli died in 2006, leaving a rich and unique entrepreneurial legacy. You can read more about Pietro Catelli's life in “Il signor Chicco. La vita straordinaria di un uomo qualunque” (Mr. Chicco, the extraordinary life of an ordinary man). “Pietro Catelli started his career as a travelling salesman for a German company that had started manufacturing needles for syringes and thermometers in Monte Olimpino, in Italy. This first experience would be crucial for him to understand the future of medical devices, a future that he, the son of a worker of the Swiss railways and a graduate of a vocational school in Chiasso, built starting from a small shop in Piazza Matteotti in Como. This marked the birth of Artsana, articoli sanitari affini. In Via Torno he set up a warehouse and a laboratory for the testing of his thermometers (it was a revolutionary step in the sector). 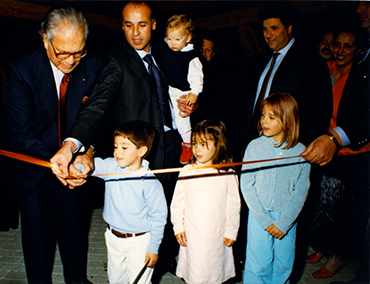 In Piazzale Gerbetto, he laid the foundations for what would later become "Chicco", that is the first company to scientifically address the challenges of child care , growing from the first 27 items to over 900 today. In 1969 he moved the company to Prato Pagano where he built a new manufacturing site inspired by extremely advanced social principles: automated warehouses and a data processing centre connecting the headquarters to the foreign branches, cutting-edge equipment, a water treatment system, a canteen for all employees, a training workshop for training and qualification activities, spacious and bright offices and a shuttle service for employees. 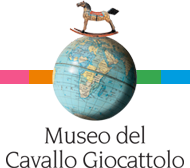 All this has resulted in products that have conquered markets in Europe and around the world. Artsana Chicco has several operations abroad and exports its products to almost every country in the world". Everyday from 10:30 to 12:30 and from 15:00 to18:30. Want to donate your horse toy? Read how to make donations.